One way to teach children about kindness is by getting them involved in simple acts service for strangers or for people that they know. Sometimes it is hard to find simple ways to encourage toddlers and preschoolers to serve. Sometimes it is hard to find ways for us as grown ups to give to other people. 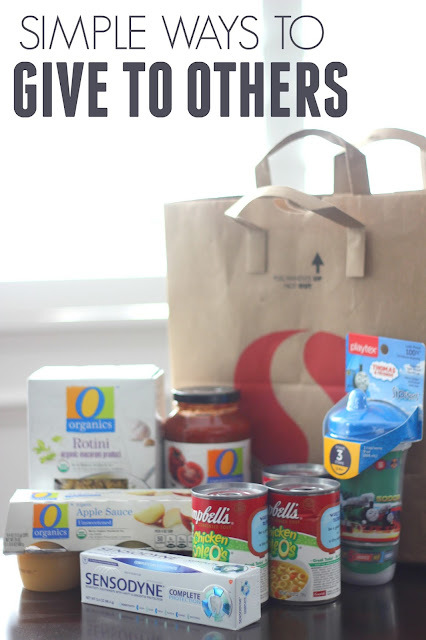 This month you can take your little kids grocery shopping at Safeway and involve them in helping others while you shop for things that you already need! Did you know that 1 in 5 children in America live in households without consistent access to adequate food? Did you know that 3 out of 5 K-8 public school teachers report regularly seeing students coming to school hungry? As an elementary school teacher I have seen first hand how important breakfast is for helping give kids the mental energy and stamina needed to be successful during the school day. 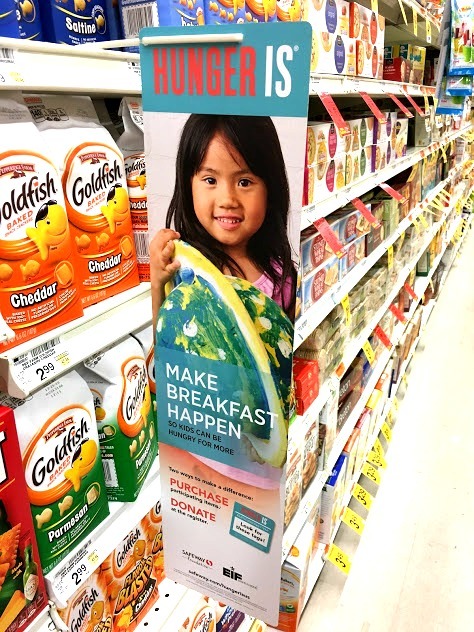 In Partnership with Safeway, Hunger Is is focusing on expanding breakfast programs, which provide children with a healthy start to their day. Funds raised through the program, both online and in Safeway stores during the month of September, will go toward innovative and effective programs throughout the country focused on eliminating childhood hunger. There are two ways you and your kids can participate! 1. You can purchase participating items by looking for tags on items in the store. *Purchase of this item in September 2016 will trigger at least $0.10 donation up to $1 million. 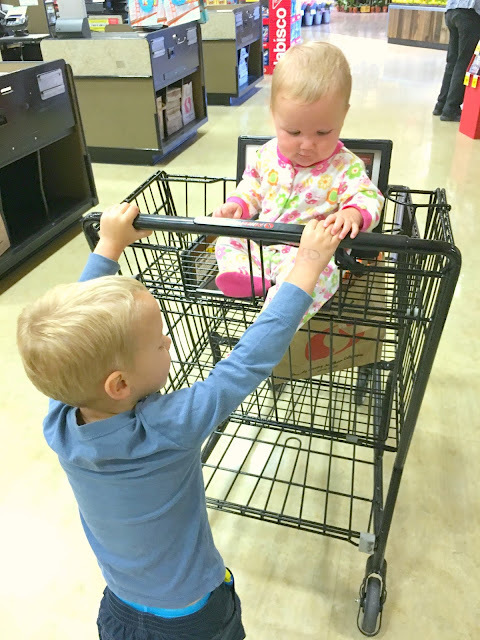 Recently I took two of my four kids on a trip to our local Northern California Safeway to go on a hunt for some of our usual shopping list items. 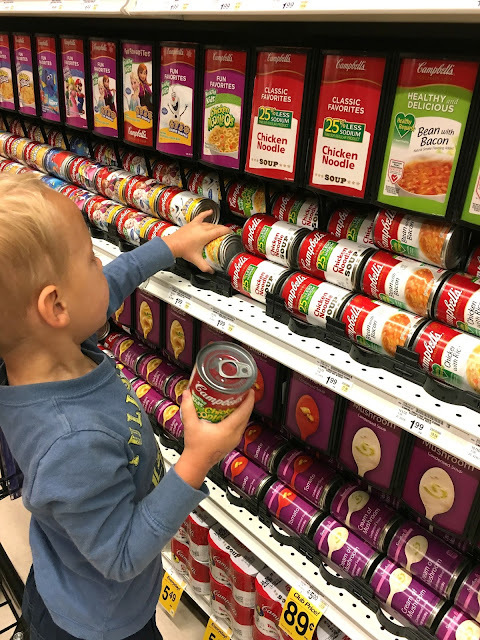 Before we got started shopping, I showed my 3-year-old the "Hunger Is..." sign and explained that our goal was to go on a hunt for specific items while we were out. I told him that the things that we bought would be used to help kids who don't have enough food, get food. 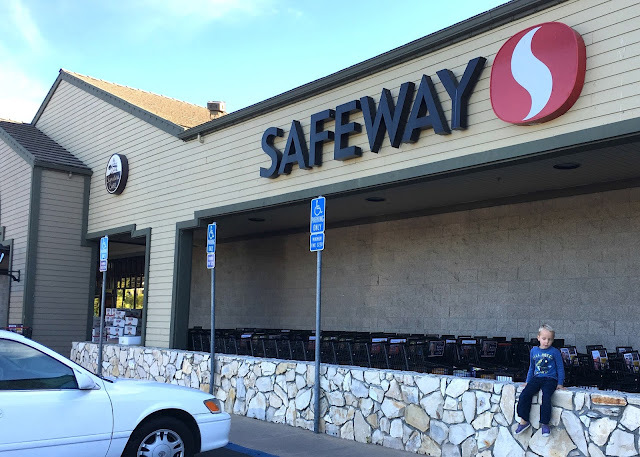 I kept my explanation simple and we looked at the list of participating brands online on the Safeway website. While we shopped we looked for the logos on the shelves that matched the ones on the website and grabbed a few of our usual grocery list items from those brands. At the register I had my 3-year-old help load up the conveyor belt and then he helped me with pushing the buttons on the payment screen as well. 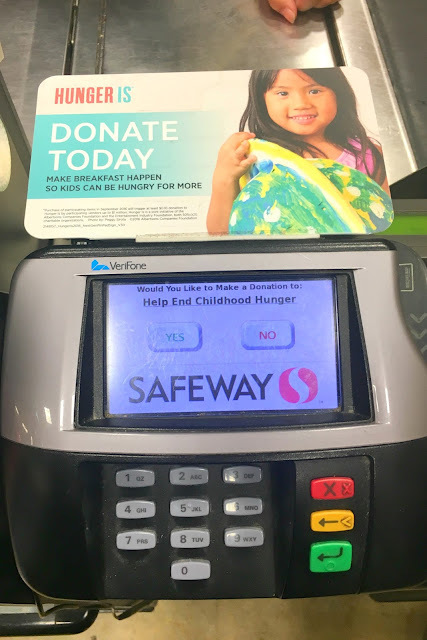 He loved pushing the green "YES" button so that we could donate a few extra dollars with our purchase to help end childhood hunger. 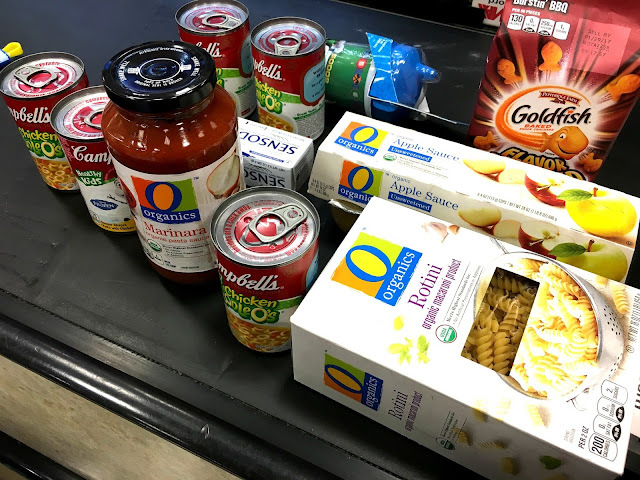 We left the grocery store feeling like we had accomplished a lot. 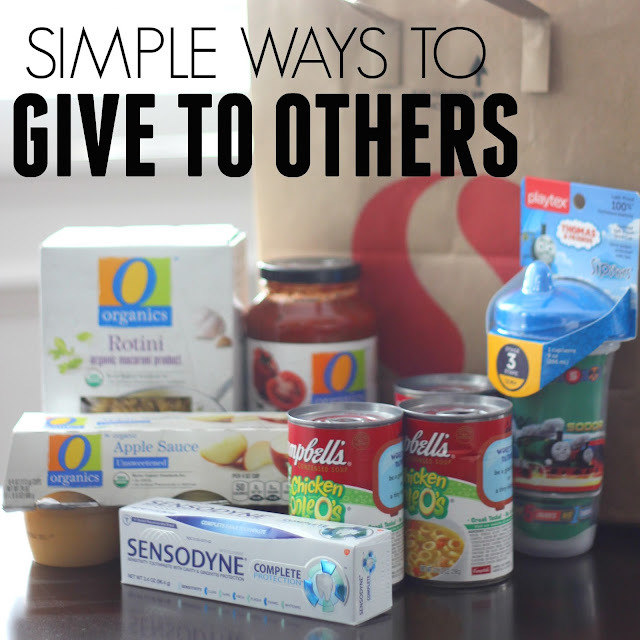 First, I'd survived a store trip without any toddler or baby meltdowns, and second, we'd gotten everything we needed WHILE ALSO learning a little bit about helping other people. Please think about identifying your local participating stores (listed below) and shop there by September 30th. Solving childhood hunger is not a challenge we can overcome alone. I'd love you to join me (and get your kids involved too) this month!